In The Friendship Book, Marcia Malzahn shares her love for friends and celebrates the irreplaceable value of friendships. This book is meant to be a gift between friends and it features 50 gorgeous paintings by artist Isa Tyler and 50 poems written by Marcia. This book will inspire you to appreciate all your friendships as gifts from God and to nurture and cherish each one of them. "The Friendship Book" now in Spanish! This is a great book for your Latin friends and for friends who are learning Spanish. En este libro Marcia Malzahn comparte su amor por sus amistades y celebra el valor insustituible de la amistad. Este libro es para regalar a tus amistades y contiene 50 pinturas de arte de la artista Isa Tyler y 50 poemas escritos por Marcia. Este libro te inspirara a que aprecies a cada una de tus amistades como regalo de Dios. 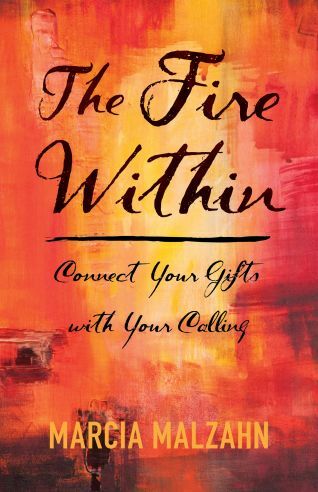 In The Fire Within - Connect Your Gifts with Your Calling, Marcia shares how God prepared her for every job she’s had, how her commitment to God and family resulted in blessings unimaginable, and how her passion for sharing her experience and knowledge with others permeates everything else she does. If you have wondered about your mission, your calling, or your purpose in life, you probably have asked yourself the question, “Why am I here?” The Fire Within - Connect Your Gifts with Your Calling challenges you to dig deep to find your God-given gifts, develop them, and use them to fulfill your special purpose in life. As a successful working mother herself, Marcia shares her God-inspired secrets for living a balanced and successful life. By acting on her twelve powerful subjects, you can start seeing results today. Character is the most important thing other people see in you. The Word of God gives you the encouragement you need on a daily basis to be a woman of integrity. Obedience to His Word and your trust in Him provides you with the gift of wisdom. When He sees your faithfulness to His teachings, you give Him an opportunity to bless you beyond your wildest dreams. When you strive to live a life of holiness, God can use you to influence other people. When you have thankfulness in your heart and acknowledge Him in all you have and are, He shows you His amazing love for you. It is only by faith through grace that you receive the gift of salvation; you cannot earn it by your own deeds. Success comes when you love God above all things and love others with His love. Balance is a gift from God that you can obtain by asking Him to help you achieve it on a daily basis and by following His ways. True leadership is comprised of all the traits above. 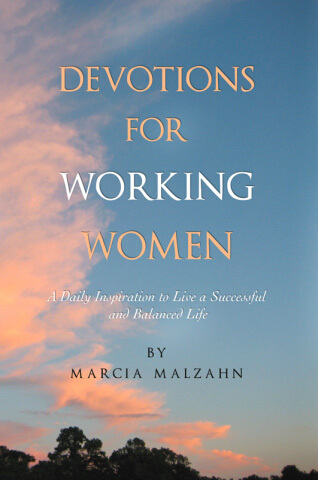 Devotions for Working Women - A Daily Inspiration to Live a Successful and Balanced Life walks you through all of these subjects in a quick to read and understand format that takes just minutes per day.